The fate of the nuclear deal is in the balance after Donald Trump pulled the US out of it in May before imposing new sanctions despite European resistance and Tehran’s adherence to the agreement, as verified multiple times by the International Atomic Energy Agency (IAEA). Although the US initially demanded all countries end imports of Iranian oil in the autumn, it is likely to grant temporary exceptions to countries that rely heavily on Iranian crude such as China, India and Turkey. Ellie Geranmayeh, a senior policy fellow at the European Council on Foreign Relations, said Iran did not view the nuclear agreement solely through the prism of an economic agreement, but also as a political and security deal. She said the Trump administration’s policy was not solely to exit the joint comprehensive plan of action (JCPOA) but also to make it impossible to sustain it. Iran seems to have a lot threats, but little for backup. 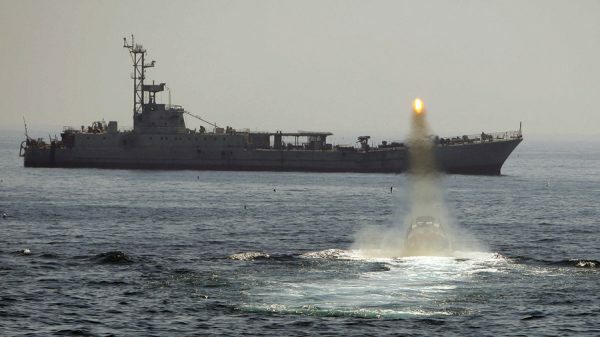 Any “real” attempt will result in the roasting of the Iranian coastline. Its not the first time that this kind of threats are coming from Teheran. This time it is Iran’s president, Hassan Rouhani, signalling that Tehran could disrupt regional crude shipments and cut its cooperation with the UN nuclear watchdog. Any attempt to disrupt regional crude shipments will result in unpredictable military confrontation. Is Iran in a position to allow themselves to find them-self involved in a military conflict when the ordinary Iranians suffer from such economic abyss?